Officials at the launch ceremony ceremony. 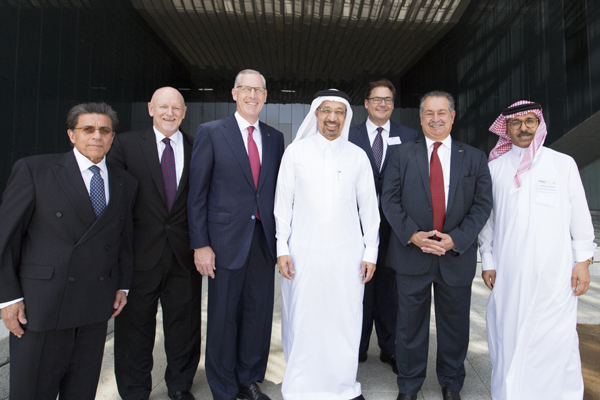 The hitech facility was inaugurated at a grand ceremony in the presence of Dow's executive leadership, the KAUST Board of Trustees, university leadership, and special invited guests from Saudi Arabia. The 13,500 sq m space, which is designed to achieve Leed Gold certification, will house Dow’s Research & Development facilities and the newly established Dow Digital Marketplace Center for the region.